The device senses blood oxygenation, heart rate, sleep position, and stopped breathing events. Mountain View, California-based Beddr has launched Sleep Tuner, its first health wearable. 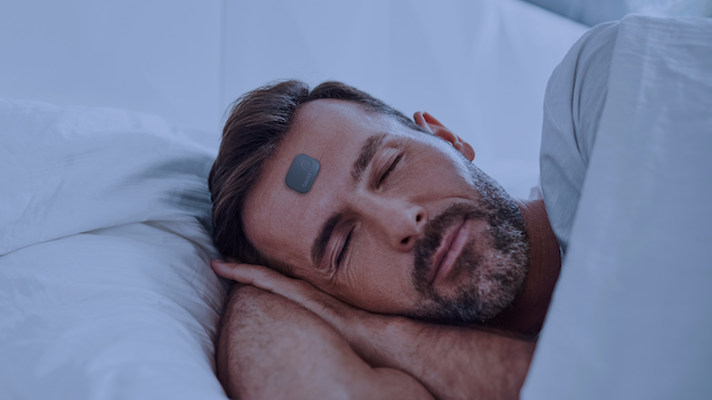 The device is an FDA-registered sleep sensor, worn on the forehead, which measures blood oxygenation, heart rate, and sleep position, as well as stopped breathing events. The device has been validated at the UCSF Hypoxia Lab, which found the device had a margin of error of plus or minus 2.2 percent compared to arterial blood draw. The FDA’s allowable margin is plus or minus 3.5 percent. It’s available for purchase from Beddr’s website for $149. Kisch says the device is designed to offer the accuracy of medical sleep studies without the cost or inconvenience. He says there are three target users for the device: people who have been diagnosed with a breathing disorder like sleep apnea and are hoping to see how well their treatment is working, people who haven’t been diagnosed but suspect they have a breathing disorder, and people who are diagnosed but aren’t being treated. The company chose the forehead because it’s the only area widely validated for pulse oximetry that also causes a minimal level of discomfort or annoyance while sleeping. According to Kisch, the company has plans to go further into the medical device realm with future versions of the product. Digital health has seen many different sleep trackers over the years, and several high profile failed companies have been in this space, like Zeo and Hello. On the other hand, Beddit, a high profile sleep tracking company, was acquired by Apple. In sleep apnea specifically, the big fish is ResMed, which has partnered with Alphabet subsidiary Verily to work on sleep apnea, as well as releasing its own connected CPAP devices. Australian company ResApp has developed a technology that can detect sleep apnea based purely on sound with 86 percent accuracy. Kisch says Sleep Tuner’s goal is to find the perfect sweet spot between clinical and consumer sleep monitoring.